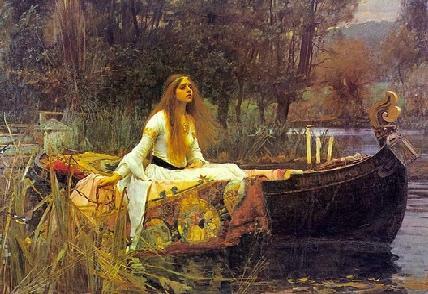 For more information on Elaine of Corbenic/Astolat and Lancelot, check out these fine sites. Another short essay. Includes the webring "For all the Ladies of Shallott"
An online encyclopedia of all the female figures of the Arthurian Legends, includes Elaine of Corbenic and Elaine of Astolat as well as Lancelot's mother Elaine. This is kinda interesting. It is a paper on T.S. 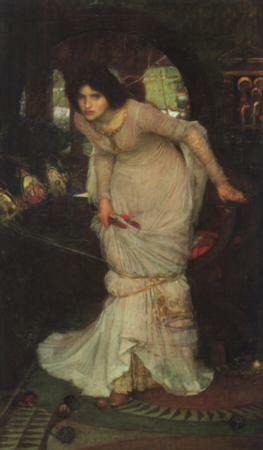 Eliot's use of Grail Quest symbolism in his poem, The Waste Land. Contemporary use of the myth, but still worth it and applicable to Elaine of Corbenic. 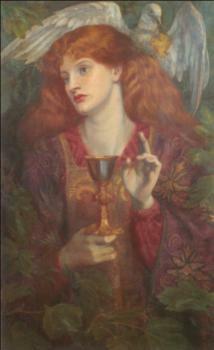 The Holy Grail, Dante Rossetti. "For All Ladies of Shallott"
Set �September 14, 2005 & ever after by/to webmistress and made exclusively for Raven Queen's Domain and her partner sites. Please do not snag.